Rock climbing has a long history of providing excitement and thrills for those interested. Whether you enjoy seeing how high you can climb or the aspect of adventure, rock climbing can be an amazing experience. Even better is the fact that with inside gyms and climbs, you can be secure in a harness and never fear for your safety. 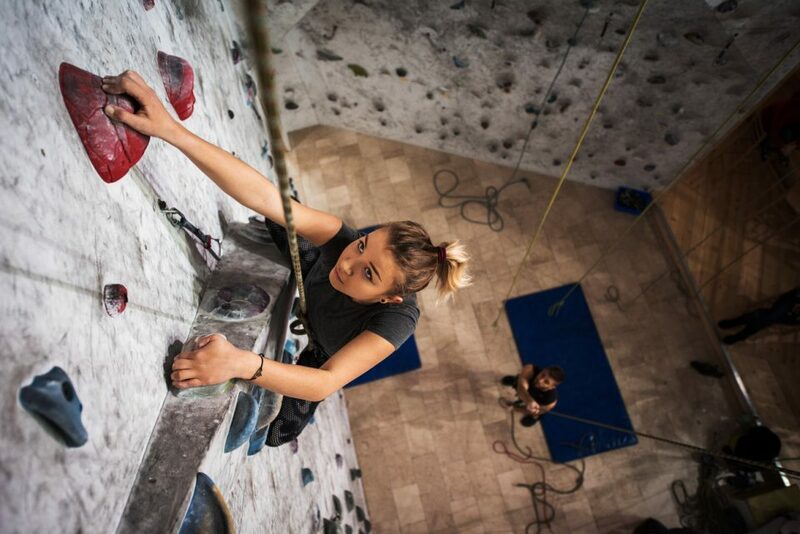 Get climbing with Birmingham Boulders today! B2 Birmingham Boulders – This location is the largest bouldering gym east of the Mississippi. This new space offers more bouldering terrain, more training availability, a lounge space, and an expanded kids and family area. In addition to this, the Forge Training Facility is available for all patrons during regular business hours so you can receive climbing training. Birmingham Boulders is located at 136 Industrial Drive, Birmingham, AL 35211. First Avenue Rocks – At this location, you can choose from over 200 different climbs that constantly change. This means you can keep coming back for more because you’ll experience a new climb each time! Also available at this location are free weights, hang boards, MOON Board, and campus rungs. First Avenue Rocks is located at 2417 1st Avenue South, Birmingham, AL 35233. On top of day passes, there are several memberships available as well. Find which options are best for you and then head over to the Bouldering Authority to get your climb on! After you’ve spent a day climbing with your friends, don’t forget to head over to Limbaugh Toyota. At our dealership, we provide a large selection of new and used automobiles. We understand that drivers have different wants and needs when it comes to purchasing a vehicle. That’s why we happily offer a variety of options for our shoppers. In addition to our extensive inventory, we offer countless deals and specials. Our specials help you save big, but they’re only for a limited time. The prices you see on our site today could be gone tomorrow. Don’t wait to come see us to take advantage of the savings! We are conveniently located at 2200 Avenue T, Birmingham, AL 35218 which means residents of Vestavia Hills, Bessemer, and Adamsville are only a short drive away. During your visit, our friendly and helpful team members will be more than happy to go over your options, fill you in on our specials, and let you take a test drive. Get behind the wheel of a Toyota today. We look forward to seeing you soon.